A mini match made in heaven - two tiny easels showcasing two tiny canvases in one itty bitty box! 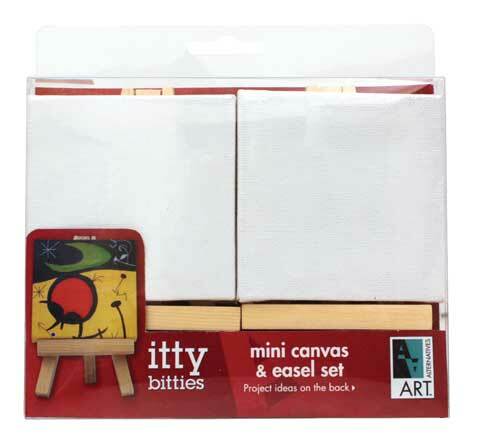 Create and display Lilliputian masterpieces with the mini canvases and easels in this set. It features two 3" × 3" canvases and two 2¾" × 5" easels, plus project ideas. Ideal for fine art, craft, home decorating and more.